There’s so much to teach about Jesus rising from the dead. Let’s just make sure we don’t skip over these three truths. One thing I don’t particularly like about teaching kids on Easter Sunday is the expectation that I must deliver a great lesson about Jesus’s resurrection. The resurrection is so central to the gospel that I try to teach it, or at least mention it, constantly throughout the year. This means an Easter lesson feels redundant. Shouldn’t we always be celebrating Easter? We should. But actually, it’s probably good for me to make sure that at least once a year I teach specifically from the Bible passages that tell the story of the empty tomb. It’s also good that I’m reminded, at least once a year, to think about why I teach the resurrection. What do kids absolutely need to know about it, and am I teaching them these things? So this year, with Easter approaching, I’ve asked myself what I want to make sure my students know. I’ve come up with three things. 1. The resurrection really happened. When the Bible tells about the resurrection, it often speaks of evidence and witnesses. Luke and John both have extended accounts of how the disciples first doubted the resurrection but came to believe after seeing the evidence, including meeting Jesus himself. Paul’s summary of the gospel includes not only the fact that Jesus died, was buried, and rose again, but also that “he appeared to Cephas, then to the twelve. Then he appeared to more than five hundred brothers at one time, most of whom are still alive, though some have fallen asleep. Then he appeared to James, then to all the apostles” (1 Corinthians 15:5–7). 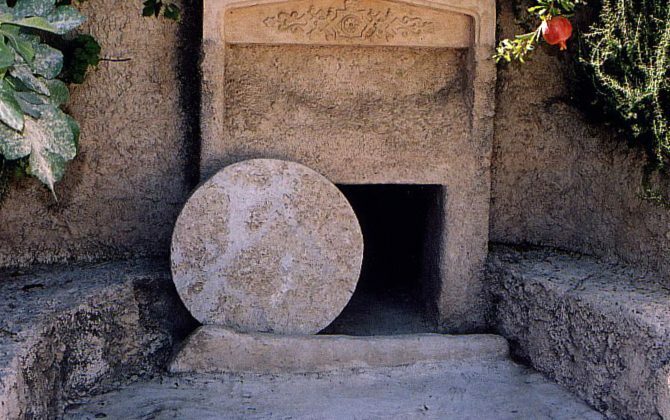 The Bible writers insist this was a real, physical resurrection—the kind confirmed by seeing and touching, and accomplished by observable power that moved stones and shook the ground (see Matthew 28:2). Jesus who was dead came back to life, with his memories and self-awareness intact and his body reconstructed. This means I have more to offer my students than vague “spiritual wellness” or feel-good coping mechanisms. The benefits that come from Jesus’s resurrection are concrete, never imaginary or disconnected from the gritty reality of life on earth. They offer real hope amid real-world sorrows, including those (like death) we don’t like to talk about. 2. The resurrection brings life to all who believe in Jesus. Put simply, the good news of Jesus is about life for dying people—and not just a few extra years of life, but life without end! This begins with spiritual life. We who belong to Jesus are raised with him. We are no longer under a death sentence for our sin; instead, Jesus “was raised for our justification” (Romans 4:25). By overcoming death, he victoriously completed his work to take the punishment we deserve, and we have moved from death row to freedom. Spiritual life includes the freedom to resist sin. We are no longer trapped, death-like, in behaviors we can’t escape. Rather, our new life includes powerful help to fight addictions, love our neighbors, and worship God—real, difference-making change. “If then you have been raised with Christ, seek the things that are above, where Christ is” (Colossians 3:1). But there’s more: we also are assured of new physical life. Jesus “will transform our lowly body to be like his glorious body” (Philippians 3:21). Sometime after we die, our bodies will come back to life complete with beating hearts, calculating brains, and wiggling fingers. We will have delightful bodies that no longer give in to sin, free of defect and disease, and we will live forever with Jesus. Now, that’s a concrete solution to a nagging problem! 3. The resurrection means Jesus is alive today. Because we don’t see Jesus (his body is currently in heaven, while we are not), it’s easy to imagine his work for us was finished long ago and it’s now all up to us to believe his promises and follow his teachings. But that would be wrong. Jesus is alive now and is still working for us. Jesus is on our side today, praying for us before the Father and leading us, his church. When we worship, he sings with us (see Romans 15:9 and Hebrews 2:12). When we go out into the world, he controls all that happens. He rules the world as King of kings and Lord of lords (Revelation 19:16), and our King will never forsake us. He is our friend today. He is our guide and teacher today. He is our brother today, reminding us that we are God dearly loved children. He is our advocate today, assuring us that every sin is forgiven and every prayer heard. Today, through the Spirit he is beside us with the power we need to live for God. Today, with great joy he looks forward to his return when we will feast with him face to face. What confidence we have as we go through life with him, our risen Savior! I so appreciate these thoughts! I have been telling myself Easter is important and my kids need to celebrate, but somehow this year I’ve lost focus on how incredibly precious it is. Thank you for sharing! Dear Jack, I very much appreciate your teaching here on the three things to teach children about the resurrection, however, I have a question. I wonder about this statement: “When we go out into the world, He controls all that happens.” Is it your belief that Jesus controls all people’s thoughts and words and actions? That would have to be true if He is to control all that happens when we are out in the world. How do you explain that to a Christian child who leaves the security of your class and goes home each Lord’s day to a family situation that is utterly out of control? I am quite elderly now, but I taught God’s word to children for many years. Over those years, many of the children came from homes that were filled with chaos. When I would visit their families, my heart would break seeing how my students attempted to hide from me the reality in which they lived their lives ‘out in the world’. May I share one boy’s story with you? His name was —- and he was 12 years old and in my 6th grade class. He lived in a poor neighborhood near our church and came on the bus that we sent out to give rides to children whose parents did not attend. We were studying the 10 commandments. One Sunday after class was over, —- was patiently waiting until everyone was gone and we were alone. He was very distraught as he told me: “Mrs. Paschal, I just wanted you to know that I cannot honor my Dad. He is drunk most of the time and sometimes he hits my Mom and me and my brother. My brother and I hide under our bed and plan how we will one day grow up and beat him up. We will be able to take care of my Mom then. How can I honor my Dad, Mrs. Paschal?” This was long ago, before teachers were instructed to alert authorities of abusive homes. I was a brand new born again Christian, and did not know how to answer —-. So, I told him that I did not know that answer, but I would know next week. I left my classroom and went to find my dear friend and sister in Christ, named Ethel. Ethel was elderly and filled with the sweetness and love and wisdom of the Holy Spirit. She had been teaching children so very very many years, so I knew that she would have an answer for —-. And indeed, this was Ethel’s wise answer for —-: “Tell —- that of course he cannot honor his father’s actions, but this is what —- can do. He can bring honor to his Dad’s name by following Christ. —- can always do his very best to be a good boy so that any time his Dad meets someone who knows his son —- he will always hear a good report. In that way, —- will bring honor to his Dad’s name and to the name of Jesus as well. And for now, at age 12 that will greatly please Jesus.” I could hardly wait until the following Sunday. I could see that —- was eager for my answer after all the others had left. I told him exactly what Ethel had told me. His face immediately lit up in joy and relief, as he blurted out me: “That’s it, Mrs. Paschal? All I have to do is to be a good boy? I can do that, and my brother —- can do that too. We can keep God’s commandment to honor our father and mother by being good boys? I can hardly wait to tell —-!” Shortly after that time, I visited —-‘s very humble home. I met his mom and dad and I told them that I was so happy to tell them what a fine young man —- was and what a joy he was to have in class. They seemed almost overcome with emotion hearing such good news about —-. His brother was in my class the following year, and I was able to give his parents an equally good report. This happened at least 50 years ago and I cannot tell you the times I have relied upon that simple answer to children from hurting home situations. But, I have never told a child that Jesus has control of everything in this fallen world. Oh the confusion and pain that would bring if indeed their little world was so very out of control. Well, this is too long, I know. But it is a question close to my heart. May our Lord continue to bless your work with children. Donna, I edited your comment (as you asked) to remove the boy’s name. I think you are wise to be concerned that children who experience evil in their lives might blame God for that evil when they learn that God controls all things. When I have a child tell me about evil happenings, I usually start by affirming, very strongly, that God hates that evil. The evil is wrong. It is not the way God designed people and the world to be. God is not the author of that evil; the people who do it are to blame. And God will judge those people for the evil they do. This is a biblical truth that’s very necessary to affirm in that situation, I think. But this truth alone is not enough to communicate the hope we have in Jesus. 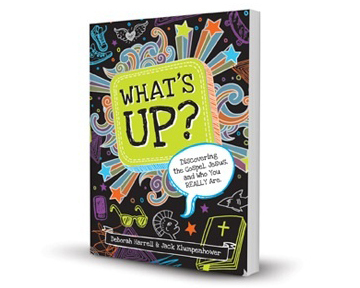 It correctly gets God “off the hook,” but it offers little other comfort for kids who are stuck in evil situations. So we also need to teach a second biblical truth: that God remains in control of all things, even evil things. God is not responsible for evil and never does evil, but he does allow evil at times. Even more importantly, in his wisdom he uses evil to fulfill his purposes and to work all things for our good. You see, evil does not have the upper hand on God. Evil people may seem to win the day temporarily, but God will twist their deeds to serve his good plan. This is a difficult concept, but the Bible is filled with examples. The life of Joseph is one of the best, as Joseph has much evil done to him and those who do it are clearly at fault. Yet Joseph is able to have joy and forgiveness at the end of his life because he also sees that God remained in control and had a good plan. He tells his brothers, “You meant evil against me, but God meant it for good” (Genesis 50:20). God’s grandest plan of all, to save believers through the cross of Jesus, also involved allowing others to do evil and using it for good. If such suffering happened to Jesus, we can expect it may happen to us as well. But it does not mean God has lost control. He not only hates the evil; he allowed it and plans to overcome it. We can have hope in the face of evil because God is in charge. The Bible encourages us to wrestle with God over these mysterious truths. The book of Ruth tells us Naomi was bitter towards God for her suffering and only saw a partial resolution in her lifetime, a small glimpse of the full plan God had to use evil for good. Job struggled in a similar way. The Psalms give us many words for expressing our complaints about evil to God, who is the one in charge (Psalm 142 is a good example). God wants us to “get in his face,” to question him about the evil he allows and call on him to make things right. This is part of faith. 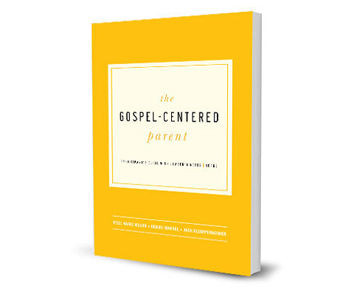 I don’t wish to turn this into an ad, but I should point out that we deal with this question a bit more thoroughly in Chapter 8 of The Gospel-Centered Parent. It really is an important issue for both parents and teachers to know how to handle, and a tricky one. We must affirm both that God does no evil and that he controls all things. 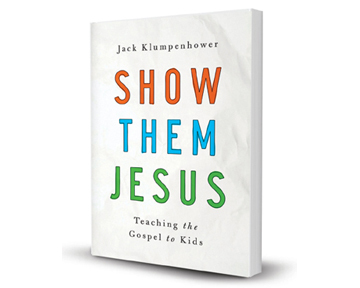 Mr. Klumpenhower, I have read Show Them Jesus numerous times and never fail to be encoraged, motivated, and inspired as I teach a sixth grade Sunday School class. Your book has become a valuable resource as I teach from a self-written curriculum each week, for my greatest desire is that these young people learn to see the gospel message in every text we study, and fall deeply in love with Jesus and the scriptures. Sometimes I am weary and cannot seem to decide what I want to teach, but always find thoughts and aides through your writing. Every year the class differs as to how I teach, how rapidly I can move, to what level I can go because I have boys and girls, some extremely bright with loads of healthy biblical instruction, and others with only the most basic knowledge of Christ, salvation, the gospel, and the Bible. Thank you for your work that I see invaluable in helping the Church of tomorrow stand firm in faith, and the hope of the gospel. Keep writing and I will keep buying, though my years of teaching may soon be past, I will pass along my valuable resources to those who come behind me. Thank you, Charlotte. It’s very kind of you to say these things.